Jonathan and Sharon have been Grace Community Church missionaries since 2008. They previously served in Samara, Russia (2008–2014) where they were the final missionaries on the ground to oversee the transition from missionaries to trained national leaders. The Moorheads are now in the Czech Republic and are participating in a similar ministry at the Czech Bible Institute. As one of the most atheistic countries in Europe, there are significant needs for evangelism, church planting, and the training of national leaders. Jonathan has an M.Div. and Th.M. from The Master’s Seminary (2000, 2003), a PhD from Dallas Theological Seminary (2008), and is certified with the Association of Certified Biblical Counselors. 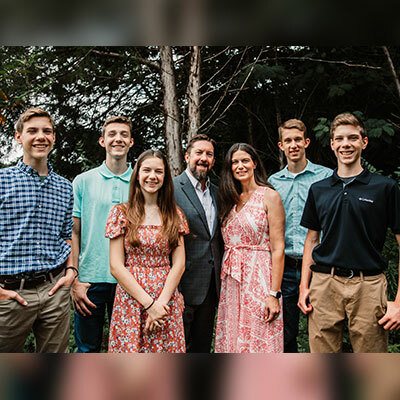 Sharon graduated from The Master’s University with a degree in flute performance (2000) and now serves the family by homeschooling Nahum, Isaac, Jesse, Jonas, and Miriam. We seek to glorify the Triune God by equipping godly ministers to be pastors, trainers of pastors, disciples, and missionaries for the strengthening of Christ’s church in the Czech Republic.